Recently downloaded Netwitness Investigator 9 (freeware) and looked at a few "HowTo"s in order to add TI-feeds. In a picture I saw from Netwitness Investigator 8 there should be a link on the "Welcome"-page to add free feeds, for example "SANS Internet Storm Center" and "SDN websites" as well as subscribing to the service "Netwitness Live" (which I assume costs money). Am I correct to assume that these are now features you need to pay for, i.e. that you need a "Netwitness Live"-account/subscription? 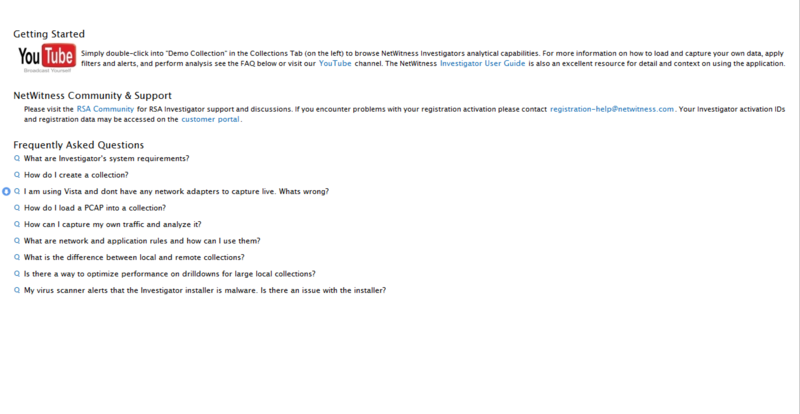 Otherwise I would really appreciate it if someone could tell me how to import free feeds into NetWitness Investigator 9. I don't seem to have access to put this in "RSA Xchange" where it belongs, why is that?